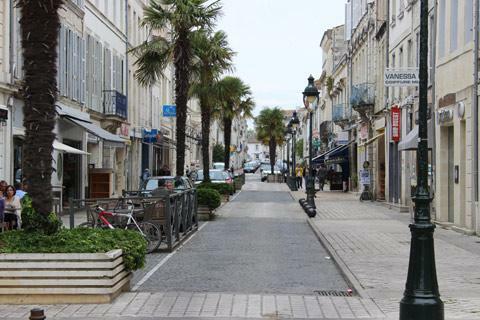 Rochefort is a town on the Atlantic Coast to the south-east of La Rochelle and in the Charente-Maritime department of the Poitou-Charentes. 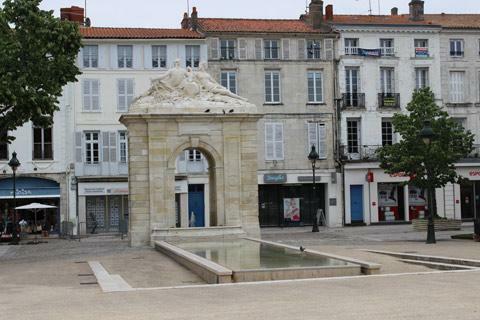 The town developed around its military harbour when Louis XIV, in the 17th century, had an important naval base built here on what was previously a region of swamps and marshes. 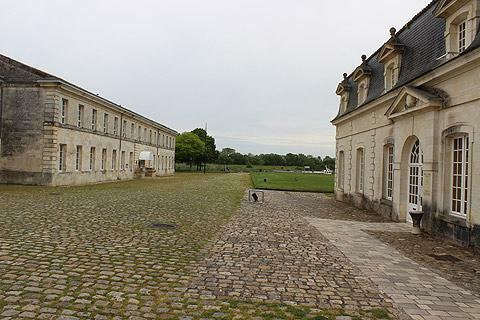 It was the naval base and the resulting wealth it brought to Rochefort that shaped much of the architecture that you will see when you visit. 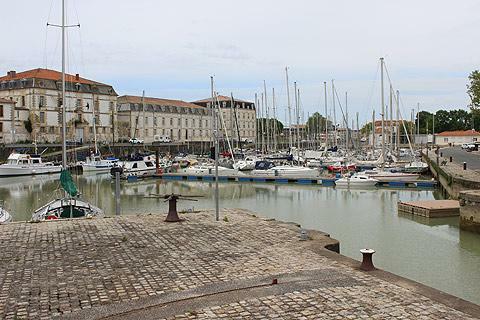 The area of Rochefort around the harbour and the associated naval buildings was planned as a 'new town', with a grid of straight streets and a large central square. The straight lines of houses remain much as they were originally laid out, and most of the houses in this part of Rochefort are also the original 17th - 19th century properties. The houses are typically built in the local white stone and often have interesting features such as decorative entrances or balconies. 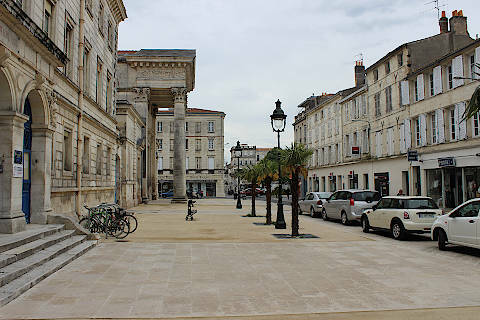 The Place Colbert is in the centre of this part of Rochefort, a large open square with the Town Hall, a stone archway, and several shops and restaurants. 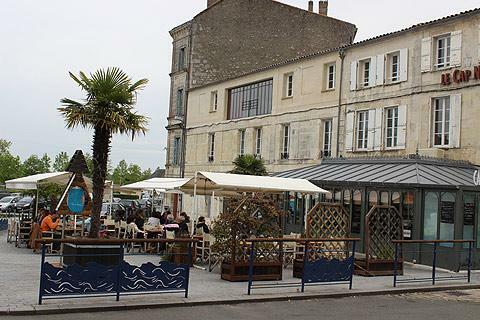 Place Colbert is the main centre of Rochefort and a pleasant place to pause for a coffee. 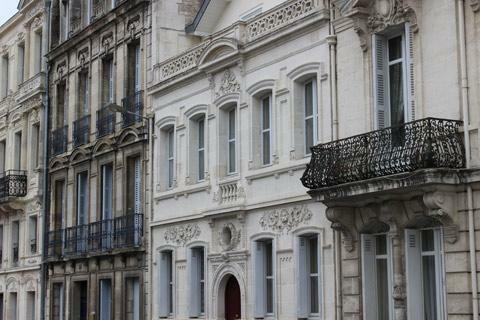 A short distance east of here along Rue Audry de Puyravault you can see the imposing classical facade of the Church of Saint-Louis. 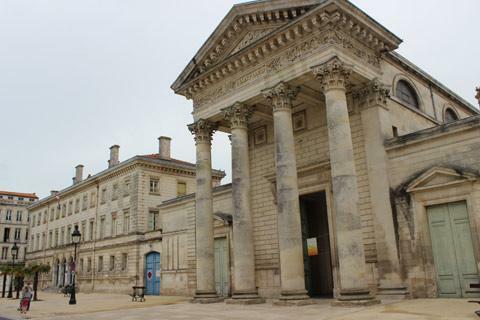 A short distance east of here, the large 17th century buildings that include the arsenal and the corderie are on the banks of the Charente river. Over the centuries several hundred ships were constructed here as the French Empire established its territories and protected its interests at sea. - Le Chantier d'Hermione, where a splendid 18th century ship, the Hermione, is being meticulously recreated and where you can see the impressive work in progress. The 'original' Hermione set off in 1780 for America, carrying Lafayette en route to help the Americans in their struggle for independence. 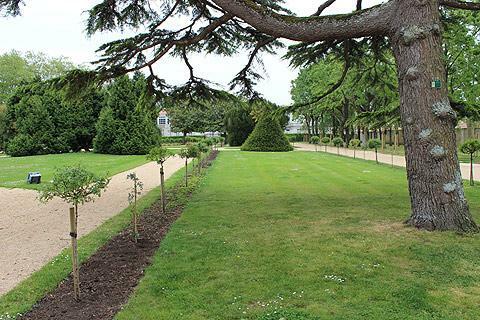 - The gardens around the buildings have also been restored and although mostly laid to lawn there are also areas which are planted with flowers and trees, and a small potager area. The largest maket in the region is found in the market halls of Rochefort and along the Avenue Charles-de-Gaulle every Tuesday, Thursday and Saturday morning. 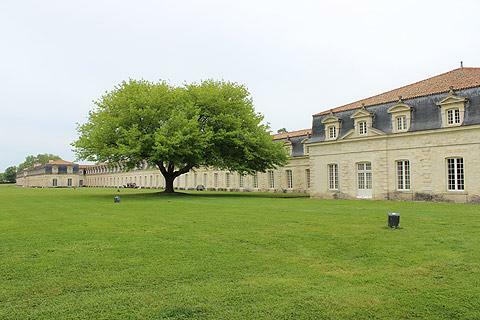 A Marine Museum in the town explains more of the history of how Rochefort developed - it is situated in the Hôtel de Cheusses and the Hôtel de la Marquise d’Amblimont. 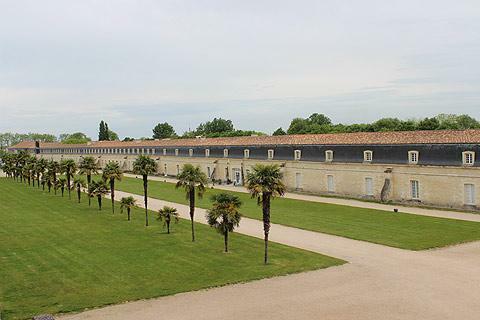 You will also explore a stroll around the Jardin des Retours and enthusiasts of the work of Pierre Loti - the 19th century French author who wrote books about his life at sea - can visit his house at Rochefort, now a Museum dedicated to the writer. The town also has an important thermal spa centre. To explore the region around the town, you can follow a path for several kilometres along the banks of the Charente river. There are other paths that enable you to explore the unique natural environment of the marshes near Rochefort.